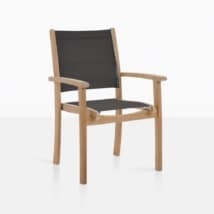 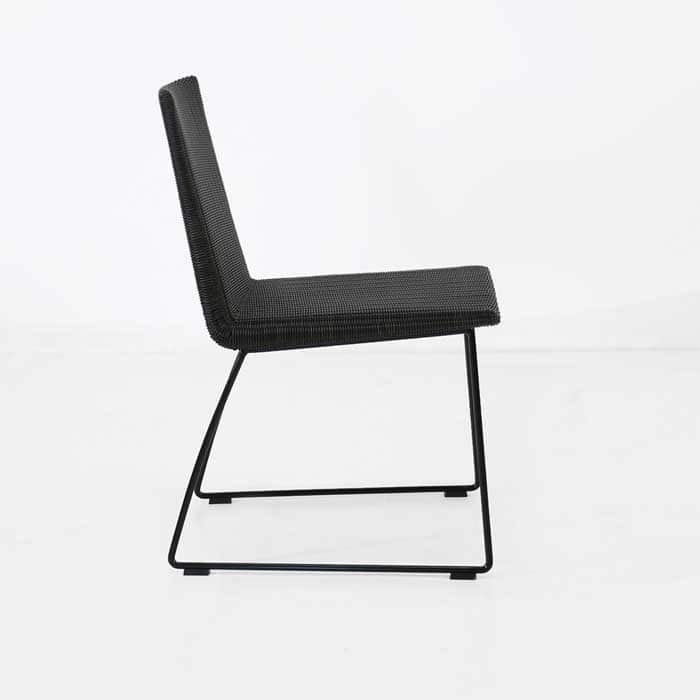 This chair is an incredible new design that blends the sharp angular features of some of the most beloved modern pieces, with the contemporary looks you have been wishing for. 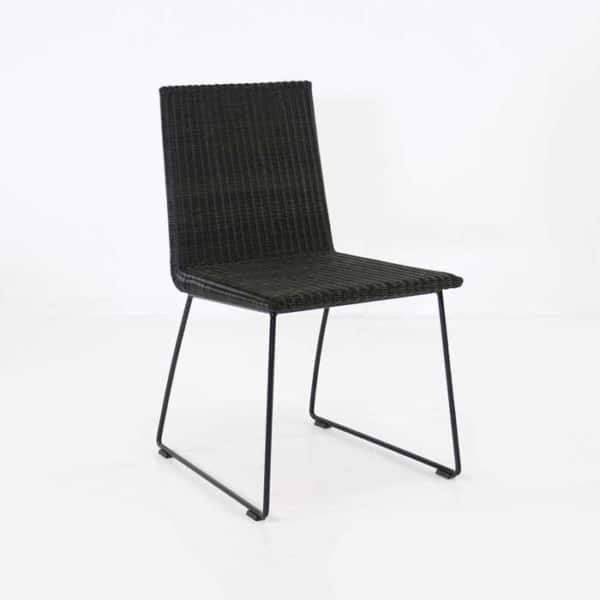 The dark “Cocobolo” color is a perfect complement to any outdoor setting, where this sturdy, yet still moderately lightweight piece will shine as an outdoor dining chair. The sophisticated looks of this armless (side dining chair) and its “finished” feel makes it a perfect all around dining chair. 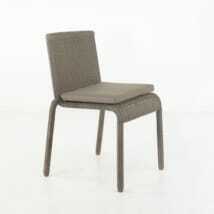 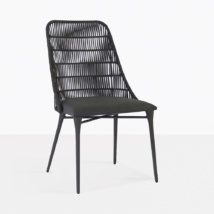 The super slick lines and excellent build quality make it a piece that will be timeless in your outdoor space. 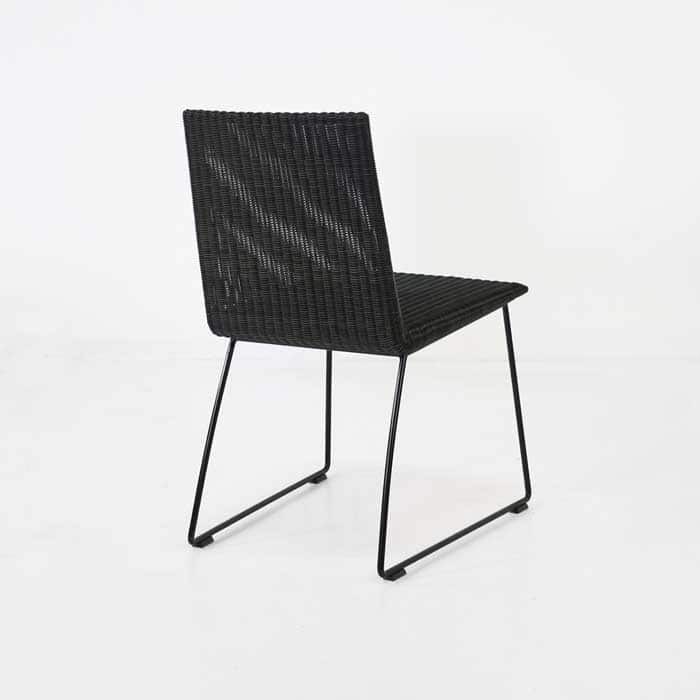 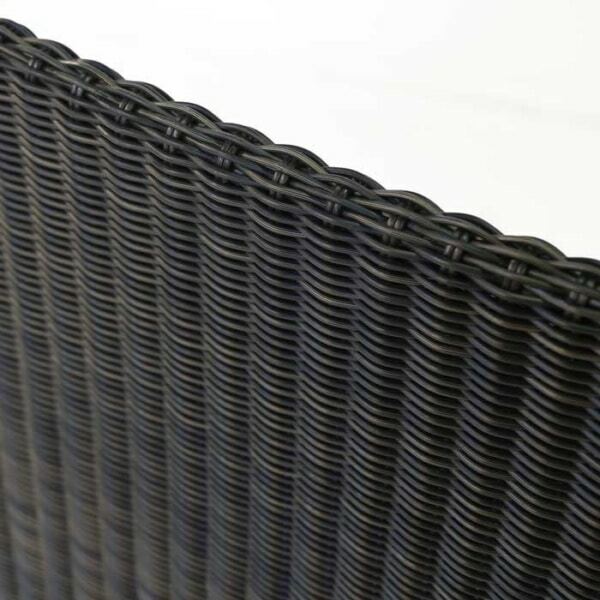 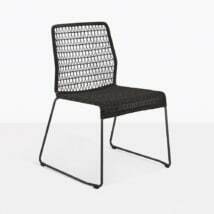 Made with gorgeous synthetic outdoor wicker wound over a semi-gloss powder-coated steel frame, this outdoor dining chair is a stylish, fun addition to your Al Fresco Dining setup. W18.1" x D22.8" x H31.9"